Swatches and product reviews, stamping and hand painting. I hope you are all having a nice weekend. 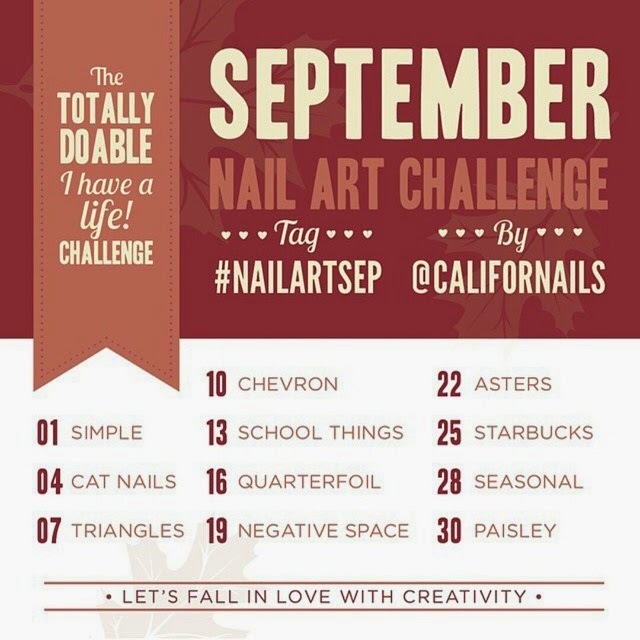 Me, I was catching up on some nail designs for @Californails monthly nail art challenge on Instagram. The way the challenge works is that about every 3 days there is a different design that you are to do. You interpret it however you want, and it's fun to see what designs people come up with. So far I have done day day 1, simple. I used my pink Bundle Monster gel polish and stamped the top with MoYou London Bridal plate-06 for the lace. Then I added a little rhinestone that I got at Michael's. Here is the picture. Then day 4 was cat nails. I got inspiration from Pusheen, a cute little fat cat. This was hand painted with acrylics over my blue Bundle Monster gel polish. Here is my design. Day 7 was triangles. I used Orly Luxe for the gold, LeChat Just Breathe for the tan, and for the triangles I polished a plastic bag with the pink, green and gold, top coated it and let it dry. Once completely dry, I peeled it from the plastic, layered them and cut the little triangles using cuticle scissors. I then painted the nail white, top coated it, and placed the triangles where I wanted them. Then, I finished it all off with my favorite top coat, Seche Vite. This is where I am at so far. I will post the next 3 mani's in this challenge in a few days. I hope you liked these. Which is your favorite? ?